A hooded figure emerges silently from a shadowed corner of the castle hall. Candlelight gleams forebodingly against a plated chest. 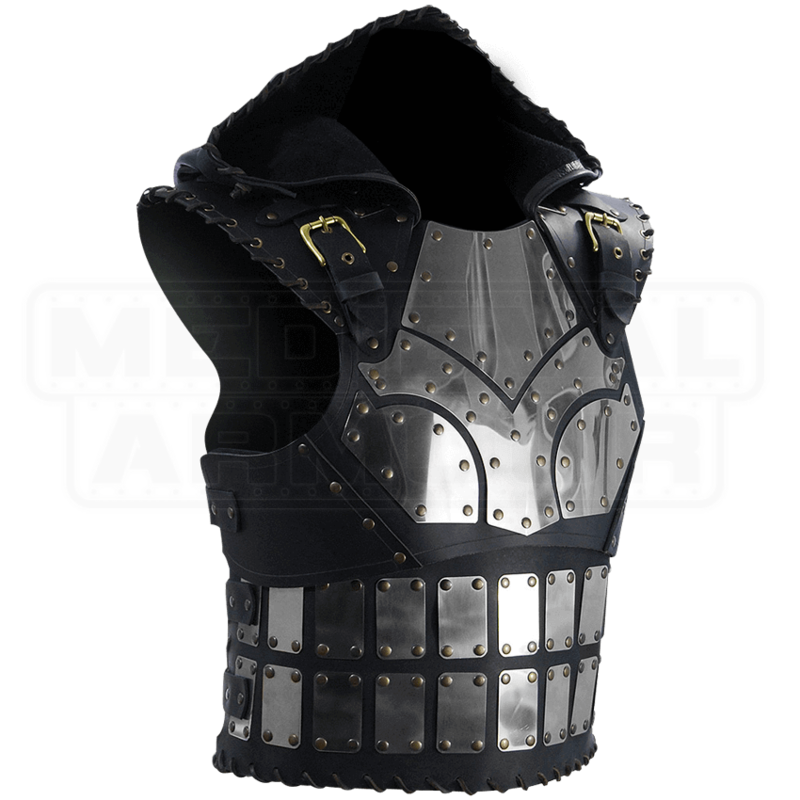 The mysterious warrior arrayed in the Scoundrel Leather Cuirass comes prepared for an epic battle. 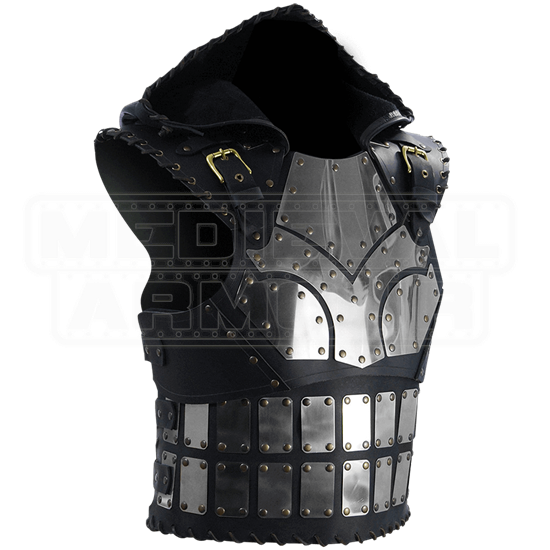 Steel plates reinforce the leather cuirass at the chest and waist, increasing the defensive power of this body armour. Rivets, eyelets, and lacing follow the design throughout. Adjust to your fit and comfort with the six buckle straps in the back. Customize even further by adding attachments to the buckle on each shoulder. The hood peaks at the brow, adding to the secretive demeanor of its wearer.